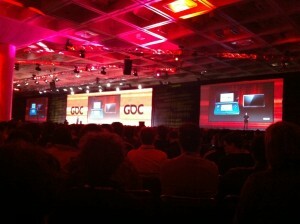 Our first full day at GDC started with Nintendo’s president Satoru Iwata’s keynote conference speech. His theme was “Video Games turn 25” and it was fascinating to hear him talk about his experience of working with Shigeru Miyamoto, how the industry has developed over the last 25 years, where he thinks it will go from here, and of course that well documented dig at mobile games! It was a nicely balanced talk, about the good and the bad of the video games industry, made all the more impressive by the fact that English isn’t his mother tongue. You can see the whole talk here. Next, it was time for the team to split up. As Nic is the Creative Director of Nnooo (and the one who likes to talk the most! ), he did most of the interviews on his own. He did 14 interviews over 3 days, 6 of which were video interviews, one podcast and a round table discussion with other Australian developers. That’s some feat when you have 2 new games to promote, a bit of a hangover and jet lag beginning to bite! As Nic headed to the hotel to talk to The Game Fanatics and GamePro, Bruce and Steven went to a few more GDC talks, the most notable being another Nintendo presentation. This one was from Nintendogs+Cats producer Hideki Konno titled the “Development Process of Nintendo 3DS”. We got a great insight into Nintendo’s hardware development process, the difficulty of convincing the “old guard” that 3D would work this time around and the interesting ways the development team played around with existing hardware to mock up the 3DS in the early days of its development. Wires appearing from holes gouged out of the side of a Nunchuck controller and held together with globules of glue like some kind of Frankenstein creation to demo the 3DS depth slider? Oh yes, that’s how they roll in Nintendo’s hardware development department! After a quick bite to eat, Steven attended more talks in the afternoon and Nic & Bruce got down to some serious business meetings. One thing about GDC is that there are plenty of people to talk about opportunities with. We have more than enough work to keep us going at the moment, but it’s great to talk about future potential projects with new partners, and you can’t beat that face to face contact. After the meetings is was straight to the GDAA party at the View Lounge at the top of the Marriott Marquis. The Australian games community were there mixing with publishers, media and anyone else who could get into this Aussie-sponsored event. At the party we bumped into Simon Joslin and Tom Killen from the Voxel Agents, the creators of the highly addictive Train Conductor series of iPhone games. Train Conductor is one of Bruce’s favourite games on the iPhone and we are big believers of giving positive feedback when we like something so Simon got an earful of drunken positivity from Bruce! Hey, why not! Sensibly, we didn’t follow the crowd on to the Touch Arcade party down in the lobby bar of the Marriott Marquis afterwards although Steven did move on to a local Thai restaurant with a few new buddies he met that night and staggered back to the hotel at around 2am (he thinks). Four more interviews and game demos over the day for Nic (and sometimes Bruce too) with AWN/VFX World, the Experimental Game Dev Podcast Show, Gay Gamer and AusGamers. Meanwhile Steven went to more talks on game development, joined by Nic & Bruce when not doing interviews. The mix of hangover and jet lag proved too much for Steven in one of the afternoon sessions and he nodded off during the lecture. It wouldn’t have been so bad if he hadn’t chosen to sit at the front so he could get a good look at the screen. It looked like Steven’s university days all over again, and the speaker wasn’t too happy. Sorry dude, we’ll make sure it doesn’t happen again! There’s a lot of waiting around when you’re doing press interviews. We were basically in a hotel suite with about 6 or 7 other Australian indie developers, most of them developing mobile games. Each press contact had arranged in advance who they wanted to speak to so each dev would be interviewed in turn when the press arrived. Usually each interview lasted about 15 minutes or so, but because we had 2 games to show, Nic would often talk for half an hour. Anyone who knows Nic would appreciate that it takes some discipline for him to ONLY talk for half an hour! The upside of all this waiting around is that we got to know some of our fellow Aussie indie developers a little better. As we are based in Sydney and the vast majority of the Australian video games community is based in Brisbane or Melbourne, we don’t get much of a chance to meet up with them. And what a fantastic bunch they are! We really felt like we made some great new friends over these few days. People like Andrew Goulding and Ben Kosmina from Brawsome, creators of the beautifully stylised Jolly Rover for PC/Mac and the upcoming MacGuffin’s Curse; Ben Britten from Tin man Games who make the awesome Gamebook Adventures series for the iPhone & iPad; black lab‘s Paul Turbett who made Star Hammer Tactics, a fast-paced tactical strategy game for PSP & PS3; and Tony O’Dempsey from Fresh Tone Games who made iProton for the iPhone and who have a new iPhone game with a twist coming out soon. All great to hang out with and all creating exciting and innovative software. After the excesses of the last few days (and weeks) we decided to have a quiet team dinner at a local Asian restaurant. It was good to reflect on what had been happening at GDC and for Bruce and Steven to give their views on their first GDC experience. All was positive and there’s no doubt in our minds that we’ll be attending again next year. 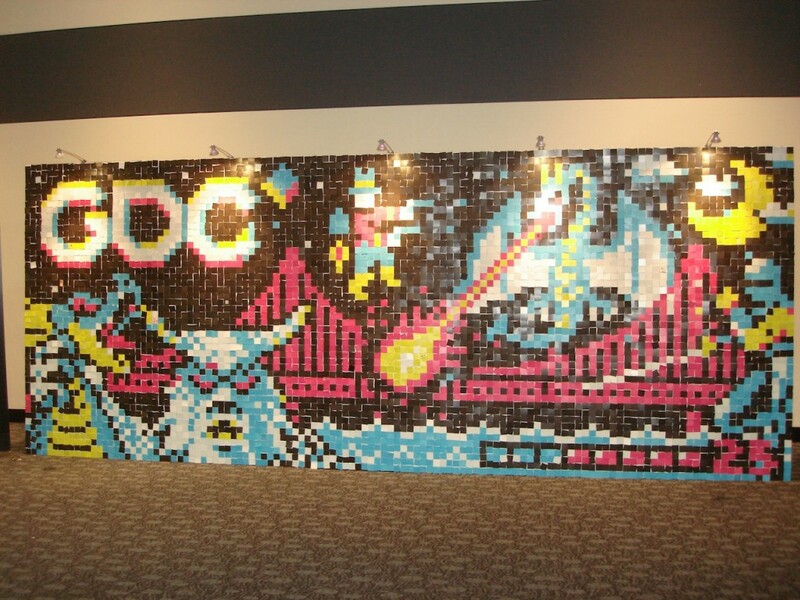 It’s difficult not to get fired up with everything that’s going on around you at GDC. We love what we do at Nnooo HQ but when we go to events like this it gives us additional inspiration, especially when we see positive press reactions for our new games. It’s also good to hear other developers’ experiences of making games, their successes, what went wrong and lessons they’ve learned. At least it gives us comfort that we’re not alone in what we’re experiencing and it would seem that we’re generally getting things right (at least some of the time). Coming in the final instalment of GDC Diary – Now That’s Entertainment! This entry was posted on Wednesday, March 16th, 2011 at 12:24 pm	and is filed under news. You can follow any responses to this entry through the RSS 2.0 feed. You can leave a response, or trackback from your own site.